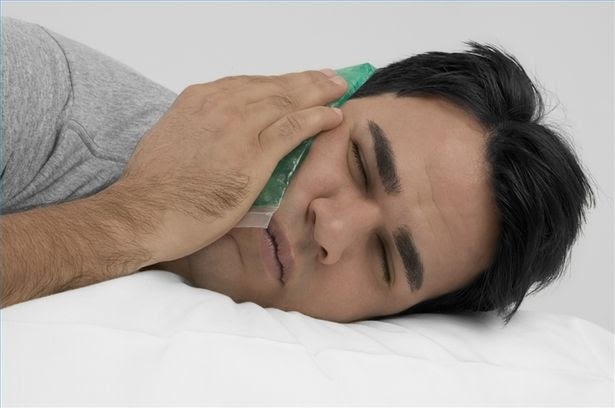 Tooth Extraction : Is There Anything to Fear? Tooth Extraction is generally considered as the last and final step only taken to prevent a cracked or decayed tooth from creating any other damages. Tooth extraction is also done in the case of teeth crowding or during impacted wisdom tooth, as it may be required to prevent the trouble that make take place at a later time. For most of the dentists, it is a routine procedure and thus, there is nothing to fear about tooth extraction. At Smilestation we have experienced dentists who will help you by extracting the tooth painlessly. Here we will discuss how it is usually done. When you first visit us at Smilestation, we check if it is necessary to have the infected tooth being extracted. If this is the case, then a radiographic X-ray examination is carried out that will help our dentist to understand the exact position of the tooth and any possible complications that can cause after extraction. 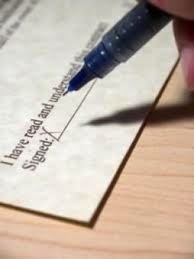 We will also evaluate your medical and drug history. Based on this the dentist will establish all possible options of anaesthesia for you. Simpler tooth extractions are generally performed under local anaesthesia that uses a numbing shot, without the need of additional sedation like nitrous oxide sedation or oral medication. In the case of more complex or multiple teeth extraction dentists use conscious sedation that is administered intravenously into your bloodstream. Once the process of giving anaesthesia is over, the tooth can be removed easily. Since, the teeth are not set in the bone and are separated from the bone using periodontal ligament fibers any teeth can be dislodged without causing much difficulty. After tooth extraction you can use prescribed antibiotics or recommended over-the-counter pain killers for some days. One of the main aims of all modern dentists is to preserve the natural teeth as long as possible, we hope to do it for a lifetime. This is why in our previous blogs we have laid importance to brushing and flossing. Also, regular examinations and cleanings will also be helpful. But sometimes, a dentist might require extracting one or more of the teeth. This can become important for several reasons. • Trauma - In case of athletes and sportsmen, wherein a blow to the mouth may cause a tooth to crack. Your dentist may try to save the tooth using a crown, or by undergoing a root canal, or maybe both. But sometimes, due to the damage, it will be just impossible to preserve the natural teeth. 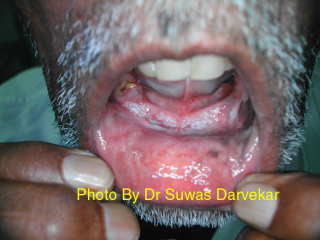 • Disease or Decay – Diseases may also make preservation of natural teeth impossible. In such situations, it is always better to replace the cracked or diseased tooth with a durable and natural-looking dental implant. • Orthodontic Treatment- During orthodontic treatment one or more teeth might require removal to lessen the condition of crowding of teeth, which generally take place when the jaws don’t have enough space to accommodate all of your teeth. Also, some of you might have issues that include impacted wisdom teeth, baby teeth that have not yet fallen out by themselves and the interference from the nearby teeth or nerves in the mouth may also lead you to extract the affected tooth. Hope this will help you to lessen your fear towards tooth extraction. In case you feel you are affected do feel free to contact Smilestation. Most of the people try to avoid visiting dentists. Even if they suffer from small dental issues they think that when the time comes and if something serious happen then they will visit the dentist. Smilestation knows this very well that you want to spend as much less time as possible in a dental clinic. We respect our patients and try to avoid their fear. So in this blog we will discuss some of the ways through which you can have healthier teeth and avoid frequent dental clinic visits. Still, we also like to make you aware that regular dental visit will be helpful to make sure your teeth stay healthy. Dental visit if not regular and if done after you face some major problem with your teeth can be painful, costly and time consuming. Thus, it is important to keep a healthy lifestyle to avoid such visits to the dentist. To improve your oral health you need to just follow few easy changes in your daily routine. 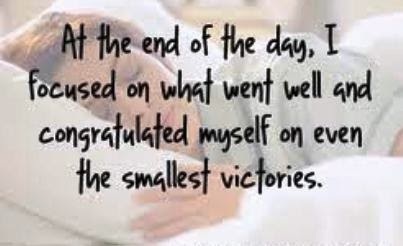 So, don’t waste your time, start this today itself. •Avoid taking sugary sodas and instead start taking enough amounts of water and fruits. Things for which you like taking soda can cause problem for your teeth. Using water and fruits you can have a much healthier alternative. If you still have that crave for soda, try out a lemon with water, or by adding some berries. With this you can have a double impact. That is, not only intake of water and fruits avoid sugars that can from forming acids that can wear down your teeth, you will be also reducing some big amount of calories from your diet. •It is best to order water along with whatever drink you buy. Remember that water turns out to be great for your body, mouth and teeth. At times it is OK to have other kinds of beverages, but you should always clean your mouth afterwards. This is because water can help you prevent these sugary drinks from remaining and creating bad breath and finally causing tooth decay. It will also help you to keep your teeth away from stains. •Avoid chewy candies or other hard sweets. By saying this, we don’t want to dishearten our sweet lovers. Sugar is not bad for you. It is the acids that are produced when bacterial actions starts happening in your mouth and breaks down the left over sugar. This happens mainly when sugar stays around for a long time in your mouth. This is why we recommend avoiding chewy candies as that can be bad for teeth. Avoid them from your snacks or make sure that you thoroughly clean your teeth as soon as you have them. •Switch normal chewing gums with Xylitol gum. This is the simplest way to avoid sugar, in case you are too much addicted to chewing gums. Xylitol is as sweet as sugar, but the bacterial action taking place in the mouth can’t break it down. This lessens the chance to have bad breath and tooth decay. Chewing gum as such is good for your mouth as it keeps your mouth moisturized, offer freshness in your breath, and prevents cracking of the tongue and gums. Start following these simple steps in your daily life and be free from unwanted dental visits. If you still feel that this is not enough to protect your teeth from decay, just schedule an appointment with Smilestation, Indiranagar, Bangalore anytime in the day using our online scheduling tool. You might have seen a lot of television commercials that offers information related to the best ways to have a straight smile and beautiful teeth. Seeing these ads you might have also wondered that is it possible for someone to really have a perfect smile. The truth is definitely yes. Dentistry has evolved a lot in the last few years and has adapted several technologies that will help us make your dream come true. We all are familiar about orthodontics, which is actually the best way to have straight teeth and eventually have a beautiful smile. Thus, for all those who fear to think about orthodontics and still want to get a beautiful smile, at Smilestation, Indiranagar, Bangalore we have one of the best and the latest option for them. Yes, this is the new Invisalign or the clear aligner braces that we are going to discuss here. At Smilestation, we are delighted to be able to offer our patients the excellence of Invisalign braces. These braces are the most advanced and still the simplest way to have a straight smile without all requirements of wearing metal and brackets and feeling embarrassed. And the best part is its invisibility. Even your closed ones will not know that you are wearing braces. What else you want? This revolutionary new way to straighten teeth consists of a series of clear aligners that one needs to wear regularly and visit us every two weeks to update these aligners with the next sets. Thus, after updating these aligners, you can find that your teeth slowly begin to shift into their proper position giving rise to a perfect smile. We have received credits from a lot of happy patients who have gained their confidence with the help of clear aligners. Yes, even if you wear these braces, you can still feel confident and walk into your presentations, conference or board meeting without worrying that people might stare at you just because of your braces. Even you don’t have to worry about the impacts of braces on your personal and professional relationships. These aligners are custom made and designed to fit your smile, the way you wanted it to be. Invisalign braces will make you feel comfortable. The biggest advantage of having such invisible braces is that they are easy to remove, and also the patients do not require making any restrictions in their routine diets. Now you can enjoy your favourite food along with straightening your teeth. Also, you can easily brush and floss your teeth by removing these clear aligners during brushing unlike in the case of traditional braces. So get rid of all the fears and myths you have in your mind about orthodontics, just visit us and start using clear path aligners. We assure you that you will definitely see a quick difference with any pain or embarrassment. 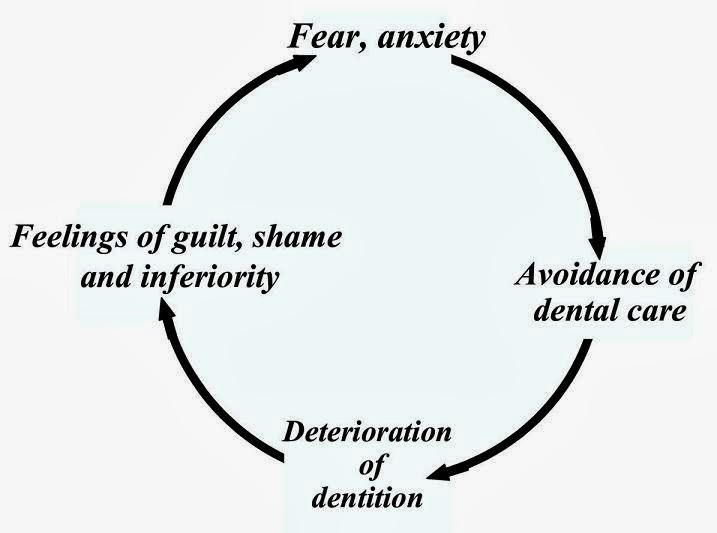 In the first part of this blog we looked at some of the causes and effects of dental anxiety and phobia. In this section we will discuss how to find a good dentist who can work with you to overcome your fears. As in any profession, there are good and bad dentists. Most dentists want to relieve pain and keep their patients happy. However, not all dentists have the personality, time or interest to work with those who are fearful and need extra care and attention. Unfortunately, if you have had bad experiences in the past with one or more dentists this may lead you to believe that all dentists are uncaring or “bad”. Media portrayal of dentists usually does not help. 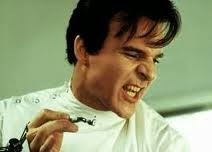 While movies may make other doctors the hero in their plots they usually portray the dentist as the villain! If you had a schoolteacher who was cruel and ridiculed you, this does not mean that all teachers are the same. There are many gentle, caring dentists who are good with nervous people. The key is finding the right dentist for you. Someone you can develop a good rapport with. Makes you feel at ease and works to gain your trust. Treats all people with respect. Interested in whole person – does not just see people as a mouth or set of teeth! Understands anxiety and is gentle and caring. Willing to spend extra time when needed and listen to your concerns. Explains the diagnosis and treatment options in a way that you can understand. 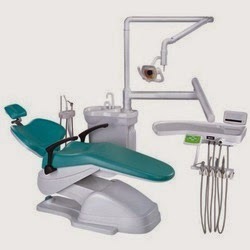 Involves you in decision making and gives preventive advice so that you become a partner in your dental care. If sedation is used, it should only be in conjunction with, and not as a replacement for, good communication and psychological support. Dental office environment should be clean and as welcoming and comfortable as possible. So how do you find a dentist the right dentist for you? The best way is by word of mouth. Ask your friends and family, if they have a dentist they can recommend. If a friend or family member is also anxious or an ex-dental phobic but has found a dentist who they get along well with, this is a good sign. You can also check a dentist’s reviews on various websites, but a personal recommendation is better. There is no one dentist who is a perfect fit for every patient. Depending on past experience and personal preference, you may be happier with a male or female dentist, or someone with a different personality type than your friend. 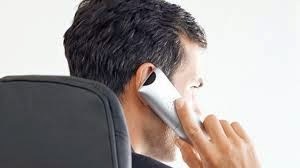 Once you have some recommendations you could telephone the practices to ask about the dentist and get some more information. If you are very anxious, you could ask someone to do this for you. Try to call into the practice, with a friend, if needed, to get get a feel for the place before making an appointment. 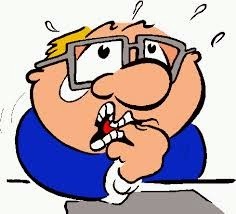 You could explain to the receptionist that you are anxious and ask how the dentist deals with anxious patients. Unless you have severe pain or infection, you do not need to rush into dental treatment. You will probably have been putting off seeing a dentist for some time, so a few more weeks are not going to make a huge difference. It is important to find a dentist who will help you overcome your fears, rather than reinforce them. 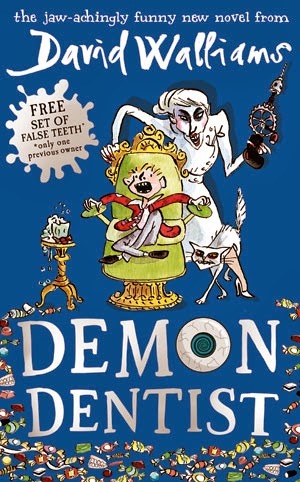 It may be less scary to ask to just have a chat with the dentist away from the dental chair for the first visit. It is best to be open about your fears, anxieties and past bad experiences, as this can enable the dentist to find the best way to help you. If you feel unable to talk about some of your fears, you could put them in writing. If you feel positive about the dentist you can then make an appointment for a check-up. 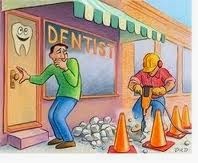 Trust your instincts, if you don’t feel comfortable with the dentist then make your excuses and leave. You can keep looking until you find the right dentist for you. If you have a dental phobia, just making the first appointment can be the hardest part. An understanding dentist will let you take one step at a time in order to build up your confidence. Once you have managed a check-up and x-ray, you will probably find that your level of anxiety is reduced. It is best to start with a simpler procedure, such as cleaning, before moving onto to more complex treatment.Congratulate yourself for each new step you take. Look out for the next section in which we will look at specific anxieties and some techniques for overcoming them. In this concluding section we will look at some more issues, in particular the importance of good pain control and techniques for relaxation. One major difference between dentistry and other medical specialties is that, most of the time, patients remain awake for treatment. Many patients with a dental phobia say that they would like to be “knocked out” (have a general anaesthetic) for treatment but there are reasons why a general anaesthetic (GA) is not used routinely, but only as a last resort, in dentistry. There are risks associated with having a GA and it is required that general anaesthetics are only carried out in a fully equipped hospital. Weighing the risks against the benefits, GA is generally only justified for complex oral surgery or for urgent treatment when other methods, eg. psychological techniques and sedation, have been tried unsuccessfully. In addition, having treatment while asleep will not help a person with dental phobia overcome their fears and it will not be possible to keep having treatment under GA in the future. It is much better to find a good, sympathetic dentist who will work with you as we have discussed in part 2 of this blog. If you have had a past experience of painful treatment at the dentist this will have most likely have led to fear and anxiety. Not having local anaesthetic (LA) to numb the tooth when it was required. The dentist starting treatment without allowing sufficient time for the local anaesthetic to work – this can take between 5 and 15 minutes, depending on the tooth and procedure. Infection in the tooth or surrounding area may prevent the LA working properly. This can sometimes be a problem during root canal treatment and antibiotics or a sedative dressing placed in the tooth between visits may be required. Painful injection (see next paragraph). The dentist not stopping when you felt pain to make you comfortable or give more local anaesthetic. All of these problems can be overcome with a combination of good communication and using the right techniques. Don’t be afraid to tell your dentist if you experience pain so that they can do something about it. A good relationship with a dentist you can trust goes a long way in relieving anxiety. A topical gel or spray can be used to numb the gum first, this takes a couple of minutes to work. Injection should be slow and gentle – fast injection can cause pain. Distraction – your dentist may talk to you or you may listen to music or watch a video. Try to think about the benefits of your tooth being numb so that you will not have pain during treatment. Discuss the problem with your dentist so that they can find ways to help you. Slow breathing through your nose. For those who have a problem with this, a nasal spray used beforehand may help. Your dentist could use a numbing throat spray to make the area less sensitive. Some people also find rinsing with salty water or putting salt on the tip of their tongue has a similar effect. Desensitization – you could ask your dentist if you can borrow a mouth mirror to practice placing it in your mouth at home. Distraction or humming to yourself. Inhalation sedation using nitrous oxide mixed with oxygen (discussed below) is also known to reduce the gag reflex as well as anxiety. 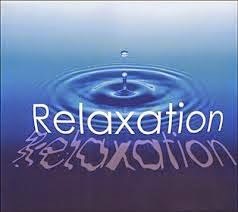 Relaxation is the opposite of anxiety and it is impossible to be relaxed and anxious at the same time. There are various relaxation techniques that you can try to see which works best for you. All of these need to be practiced regularly at home. They will not work if you start while in the dental chair. So what if you have tried the techniques suggested and you still can’t cope with dental treatment? This is where conscious sedation comes in. Sedation is used to reduce anxiety and aid relaxation, making dental visits more comfortable. You will still be awake but less anxious. You can discuss the options with your dentist. If they do not offer the type of sedation which is right for you, they may be able to refer you to someone who does. Inhalation sedation - a mixture of nitrous oxide (laughing gas) and oxygen is inhaled through a rubber cup which fits comfortably over the nose throughout treatment. The sedation reduces anxiety so that you feel happy and relaxed. This is the safest and gentlest form of sedation with few side effects and fast recovery time. It can be used for children and adults. 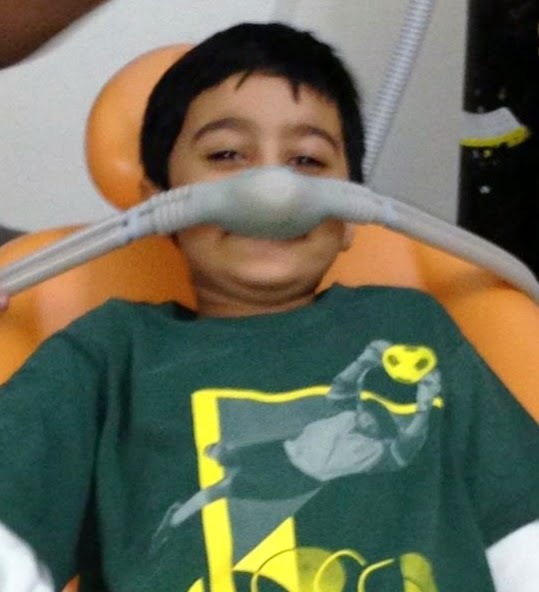 Inhalation sedation is available at Smile Station in Bangalore. You can contact the practice for more details. Oral sedation - a medication (usually a benzodiazepine) prescribed to be taken in the hours before a dental appointment, or sometimes the night before, which has sedative and anti-anxiety effects. These should only be taken on the advice of your physician and/or dentist as they have side effects and may interact with other medication. You should not drive or operate machinery after taking oral sedation. Intravenous (IV) sedation - a sedative drug is administered into the bloodstream through a vein. This induces a deeper state of relaxation but you will still be awake. It may give either partial or full memory loss during the time of sedation. IV sedation is only recommended for adults and impairs ability to drive or operate machinery. Remember, sedation is never a substitute for a good, caring dentist who will work with you to overcome your fears.Finally, here is a testimonial from Chelsea – a patient at Smile Station who has been able to overcome her anxiety:“Smile Station, a place I never thought would actually be pleasant to go to. Simply because it was a dentist’s clinic. but my experience here made me change my entire opinion and made me feel extremely comfortable. A root canal from what I had heard was supposed to be the most painful thing, but Dr. Gurudev being so experienced made it feel like a cake walk. He was extremely gentle and helped me get over my fear of the dentist. The facilities are extremely good too! I am so happy I chose to come to Smile Station and I would recommend this clinic to anyone!”If you have any comments on this blog, or would like to see any other topics covered, please post a message below.